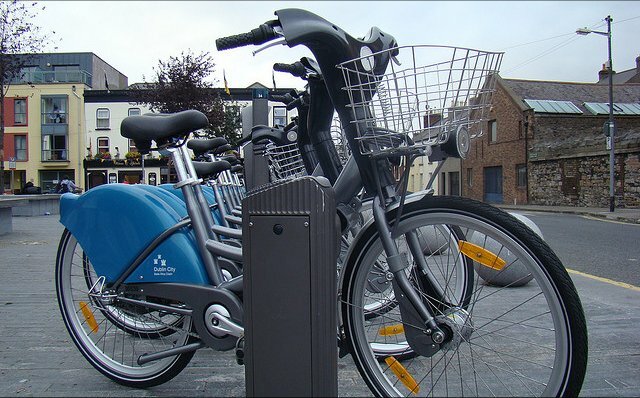 Six new DublinBikes stations have come on stream over the last two weeks. The stations are: Fitzwilliam Square East, Barrow Street in the Docklands; Francis Street in the Liberties; Hardwicke Place beside Temple Street Children’s Hospital; outside Sir Patrick Dun’s Hospital on Grand Canal Street; and at Newman House on St Stephen’s Green South. The new stations are part of the Docklands and Hueston expansion which started last November. As part of the expansion, the system is due to have 102 stations and 1,500 bikes by July of this year. There is currently nearly 70 stations. The Docklands section of the expansion is almost complete, with only three of the remaining planned stations yet to be opened in that area. Around two thirds of the remaining stations are to the west of the city centre, while the number of stations in the core city centre is also being beefed up.